Nothing can be fully accessible to everyone – each person’s needs are different and many needs conflict. Someone might need bright light in which to lip-read, another softer lighting to prevent migraines, for example. Equally, any event works within a set of restrictions, for example, capacity, budget and existing buildings and existing transport infrastructure. So how do you plan what access to offer? We published the first version of our Access Statement for the event, which can be downloaded here in Word and here in PDF, setting out our initial intentions six months before the event itself. We published the second version of our Access Statement for the event, which can be downloaded here in Word and here in PDF, setting out our initial intentions four months before the event itself. We published the third and final version of our Access Statement for the event, which can be downloaded here in Word and here in PDF, with a month to go, outlining as much as we know and our approach. We published a fourth, retrospective version of our Access Statement, which can be downloaded here in Word and here in PDF which includes feedback from delegates on our access provision. 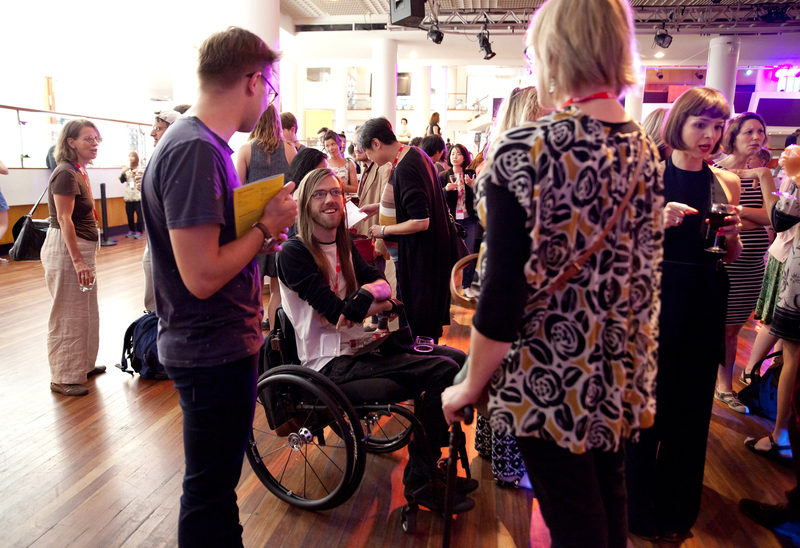 For us, access starts by thinking about the Social Model of Disability. Through this approach, we recognise that it is our responsibility, as event organisers, to make this event as accessible as possible. But how do we use that to make decisions about what to provide? So far we’ve got sections on representation, how people book tickets, getting to the event, access at the venue itself, the specific access we are putting in place for the symposium, online access, evaluation and feedback and more. As we get to versions two and three, we’ll be filling in the details, adding in more photos and responding to individual requests, and if you want us to provide something not yet in the plan, please email us on symposium@weareunlimited.org.uk to see what we can do. We know we won’t get everything right for everyone, but we really want to get it right for as many people as we can – and by sharing our planning we hope that many more events can be made more accessible too.